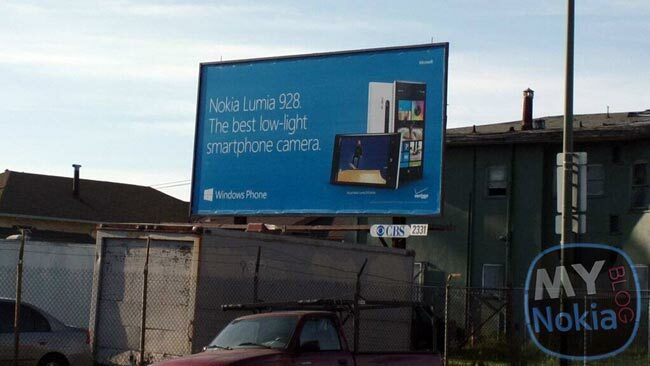 We know that Verizon will officially announce the Nokia Lumia 928 later this month, we have already seen some leaked photos of the handset, and now the device has turned up on an advertising billboard which you can see in the photo below. The Nokia Lumia 928 will come with a 4.5 inch Super AMOLED display with a resolution of 1280 x 768 pixels, processing will be provided by a dual core Qualcomm Snapdragon S4 processor with a clock speed of 1.5GHz. Other specifications on the Lumia 928 include an 8.7 megapixel camera with a dual flash which features a Xenon and LED flash, plus Microsoft’s Windows Phone 8, we should have more details later this month.